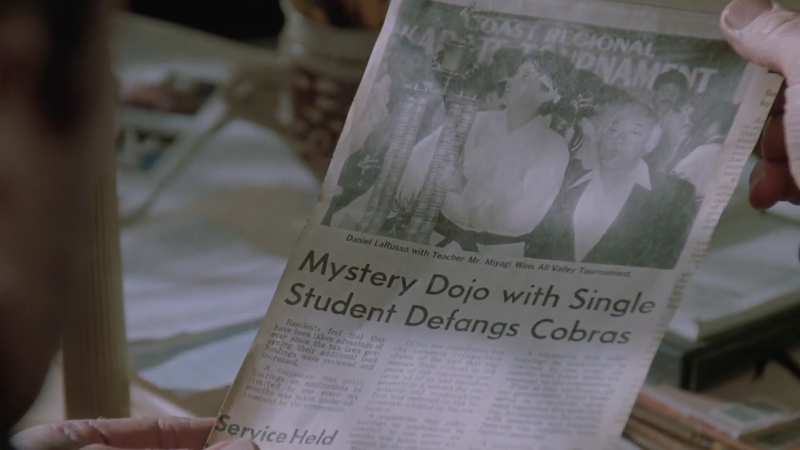 By 1989, Karate Kid’s franchise appeal reached Saturday mornings. The animated adaption sent Daniel Larusso and Sensei Mr. Miyagi around the world, punching their way through goons each week. It lasted 13 episodes. The lesson there is how little The Karate Kid offers when stuck in formula. 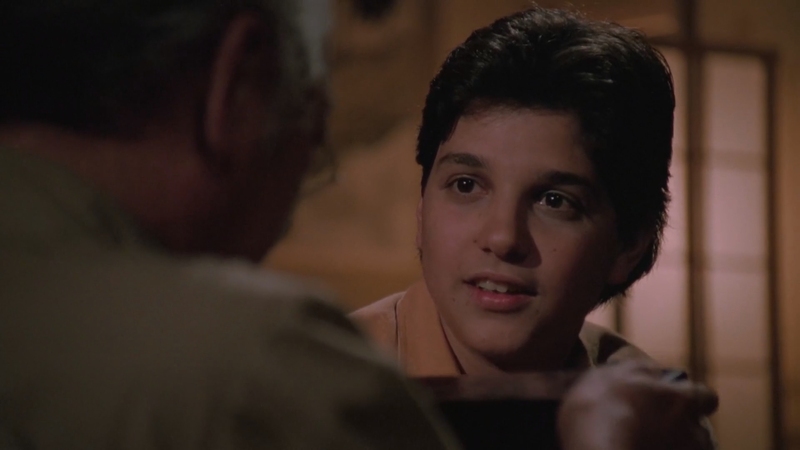 Karate Kid Part III retreads the original, rescinding the lessons Daniel (Ralph Macchio) absorbed in two movies prior. 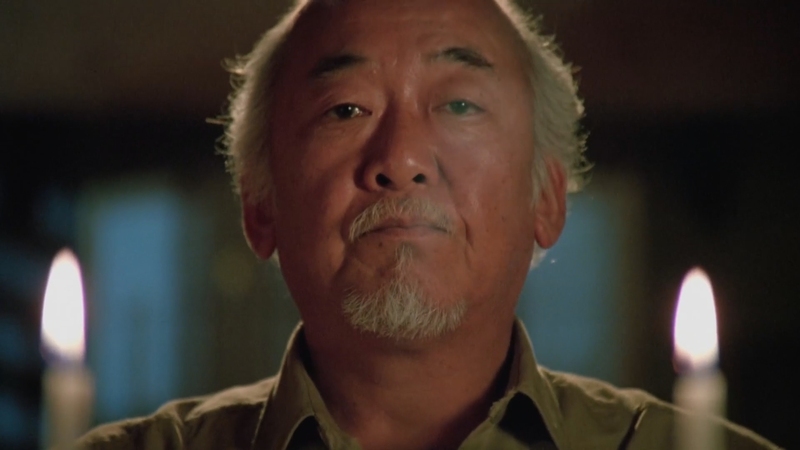 For the returning Miyagi (Pat Morita), he’s decking out bonsai trees and spinning an occasional whiff of morality. There’s nowhere else for this series to go. Insert the comical antagonist – unintentionally so – who laughs like a cartoon villain. Thomas Ian Griffith seems to come from the animated version rather than live action, a representative of ‘80s excess. He bathes in tiny gold rooms, wears exotic clothes, and funds an entire line of dojos because he can. So vain, he even spends hours training Daniel to lose, manipulating and injuring the kid who three movies in, needs to know better. There’s an element of gentrification. 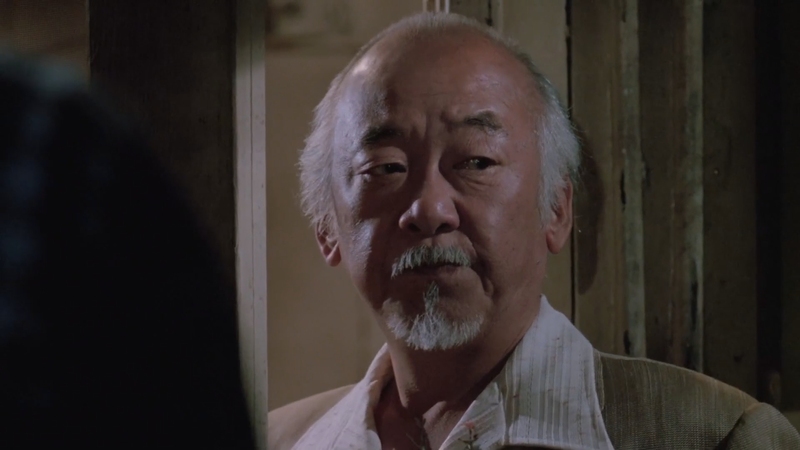 An older woman stops Daniel and Miyagi to note the massive complex taking over her neighborhood, pushing her out; she’s never seen again. 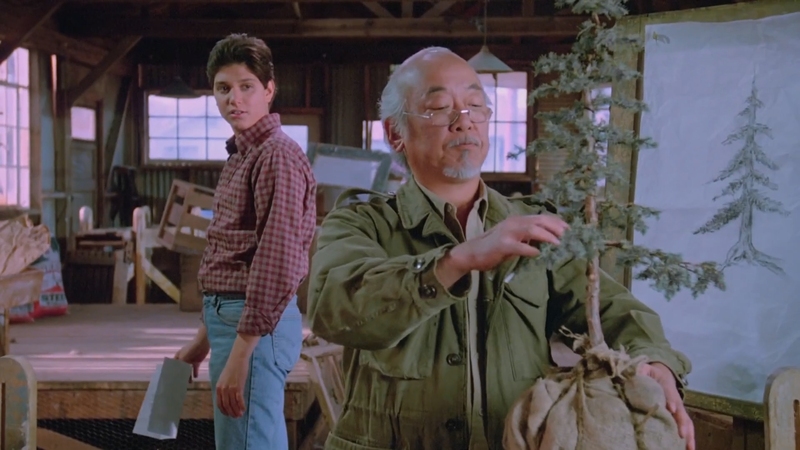 Miyagi opens a small bonsai business – apparently without planning – the last gasp of small business in a town being overrun by Griffith’s Reaganomics exploitation. Pollution plays a part too. Arriving back in California after their Okinawa stint in Karate Kid Part II, Daniel states, “Smell that smog!” Later, it’s learned Griffith is a hyper-polluter. Of course he is. It’s remarkable he doesn’t drown a kitten at some point. 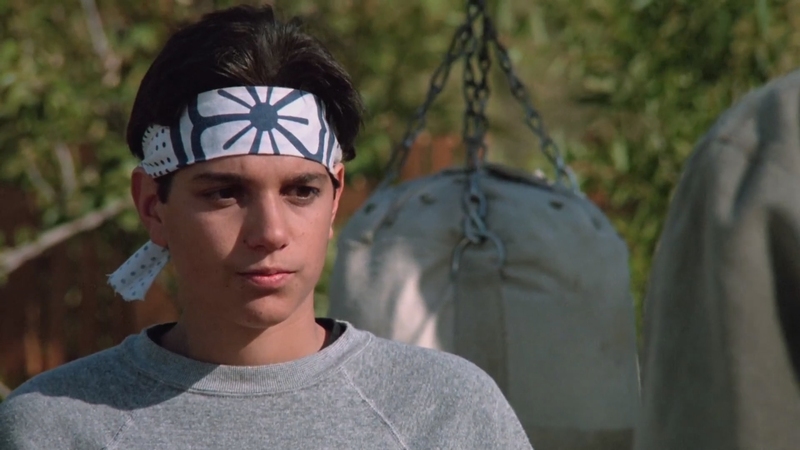 Karate Kid Part III’s greatest sin is giving up. In the undercurrent, Miyagi’s detainment in Japanese internment camps is mentioned by a newspaper headline. Nothing becomes of it. Returning Martin Kove as Kreese joins his Vietnam partner Griffith, but their status as veterans goes nowhere. 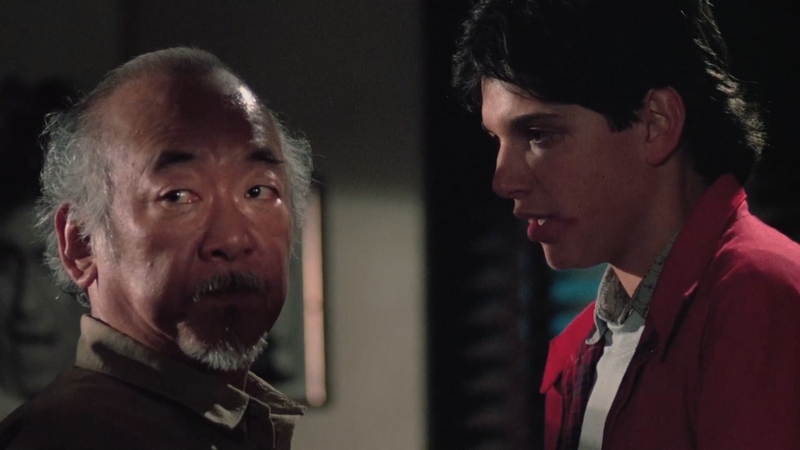 If anything, Karate Kid Part III is that rare American film to turn veterans villainous. Shame then their motivation is small time spite rather than deeper feelings of resentment or trauma. 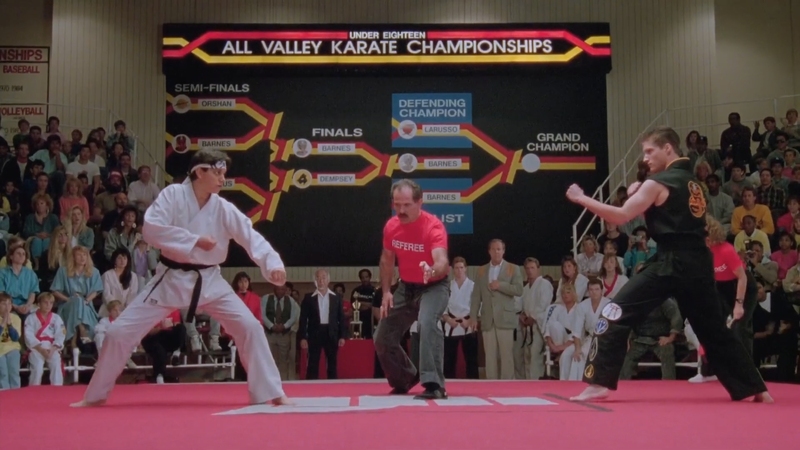 In the end, Daniel returns to the mat, defending his championship against the latest Cobra Kai lackey in the local karate tournament. There’s no tension. The referee lets Daniel take an extraordinary beating. No one seems to acknowledge a logical disqualification. To do so would end things anti-climatically; can’t have that. Daniel judo flips the kid, hits him in the ribs, and it’s over. No one learned anything. 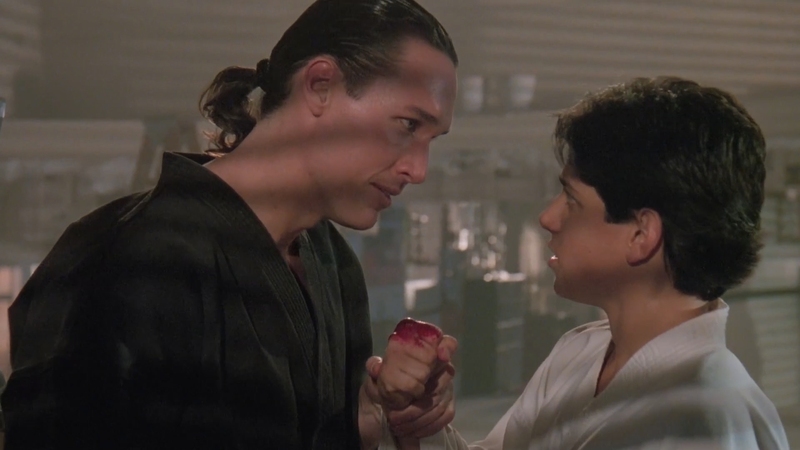 The final shot of Daniel and Miyagi embracing means nothing because this all happened before, and based on the events of Karate Kid Part III, it’s clear the lessons won’t seep in. Mill Creek issues this sequel on the same disc as the follow-up, The Next Karate Kid. Based on the BD-25 used and the file size for each, there’s no space left. This two hour film is crunched into a meager 10GB, and the end result is a stream of heavy, crushing artifacts. Some DVDs offer better compression, and with the layers of blocking evident on this Blu-ray, more detail too. Grain left on this source print was wiped by the encoding. There’s nothing left. With that goes detail. 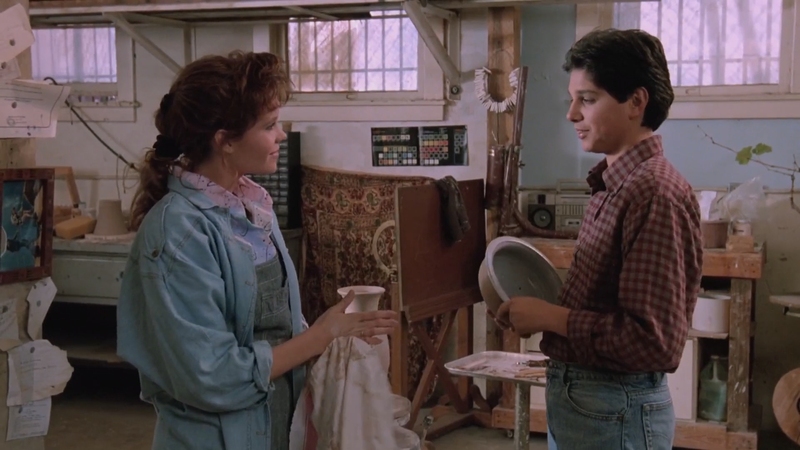 Karate Kid Part III looks smeary and digital, lacking any finesse or texture. 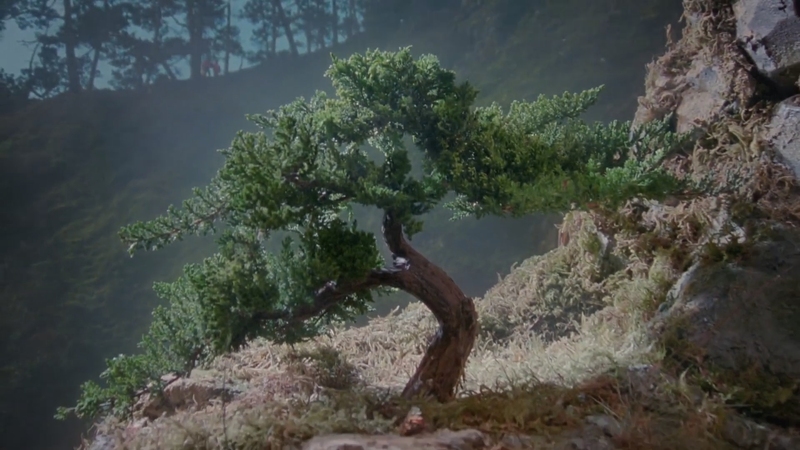 The scenes of Daniel climbing to reach the Bonsai tree, with gobs of foliage and rocks, becomes a mass of indistinct earth tones. Texture bleeds out behind the artifacting. Maybe a decent source is hiding behind this encode. Any signs of great resolution or a new master go unnoticed. It’s clean at least, free of damage. Color is great too. 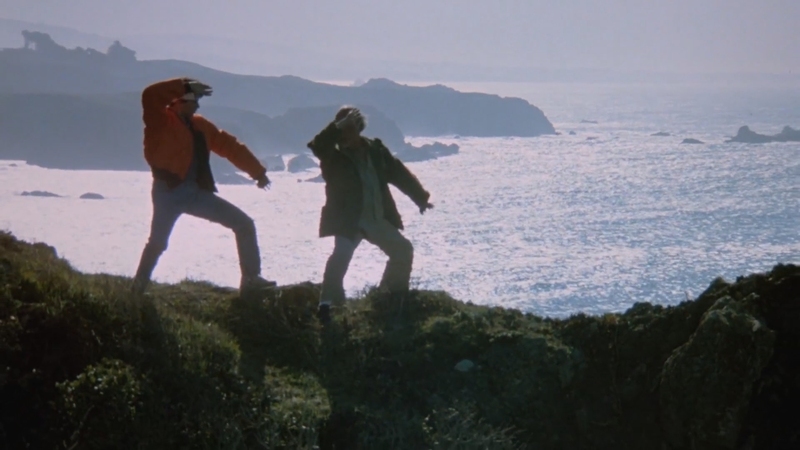 When Daniel and Jessica (Robyn Lively) trek down cliffside, their ‘80s neon collection shows sensational brightness. Sadly, that’s not enough to make this messy presentation worth an upgrade over previous DVD releases. Cramming a lossy Dolby Digital 5.1 mix onto the disc amounts to a minor audio success. The score’s low hums deliver a bit of weight in the low-end. Scenes needing surround help, including the tournament, nicely envelop the soundstage. 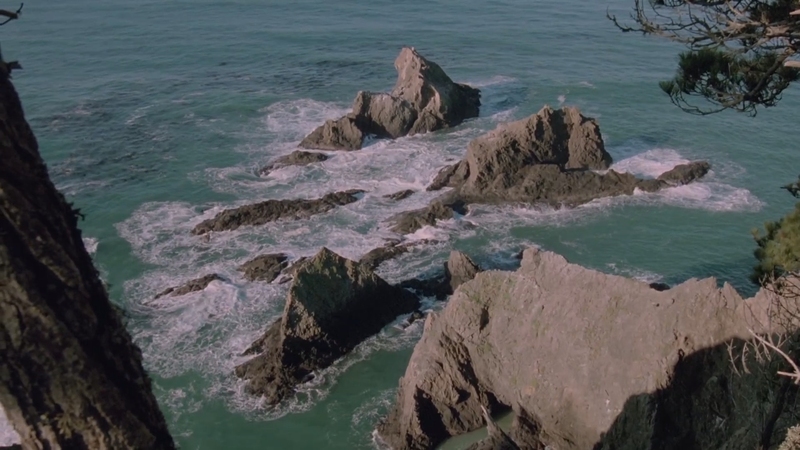 Down around the ocean, water splashes around. While not aggressive, there’s a layer of sound consistent across the entire runtime. Age doesn’t diminish fidelity. Note the blatant dubbing does stick out, especially as Terry drives into the airport, divulging his plan. His lips don’t move either, which doesn’t help. 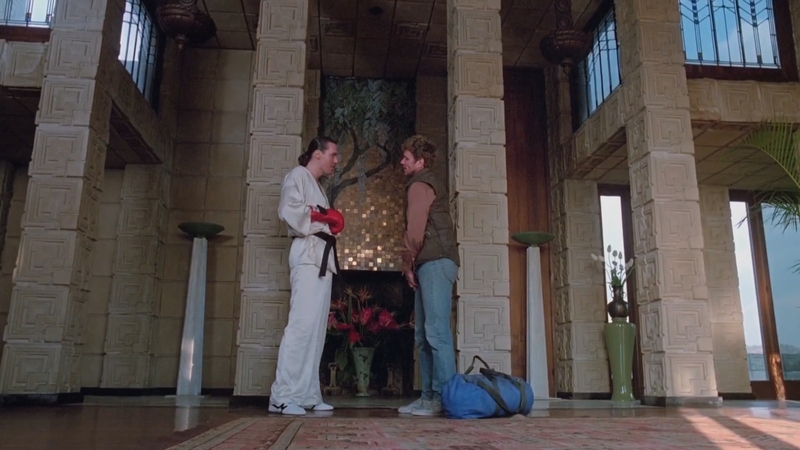 Mill Creek leaves no space for extras other than a black screen to select between movies..
Inept and cartoonish, Karate Kid Part III languishes under its potential to explore these characters futher, but descends into a farce. The 15 unaltered images below represent the Blu-ray. For an additional X screenshots, early access to all screens (plus the 20,000+ already in our library), 60+ exclusive 4K UHD reviews, and more, support us on Patreon.